Luke Perry has been laid to rest in Tennessee. The 52-year-old Riverdale actor and Beverly Hills, 90210 star passed away in Los Angeles on March 4 after suffering a massive stroke. He was surrounded by his children Jack and Sophie, fiancé Wendy Madison Bauer, ex-wife Minnie Sharp, mother Ann Bennett, step-father Steve Bennett, brother Tom Perry, sister Amy Coder, and other close family and friends at the time of his death. According to his death certificate, released Wednesday and obtained by E! News, Perry was laid to rest in Dixon, Tennessee on Monday, March 11. The death certificate also lists his cause of death as "ischemic cerebrovascular accident." Perry's fiancé, Bauer, is listed as his next of kin. As for the Tennessee location, Perry was actually a part-time resident of the state. "The family appreciates the outpouring of support and prayers that have been extended to Luke from around the world, and respectfully request privacy in this time of great mourning," his rep told E! News in a statement after his passing. "No further details will be released at this time." After news of his death was announced, Perry's loved ones and colleagues mourned his passing. 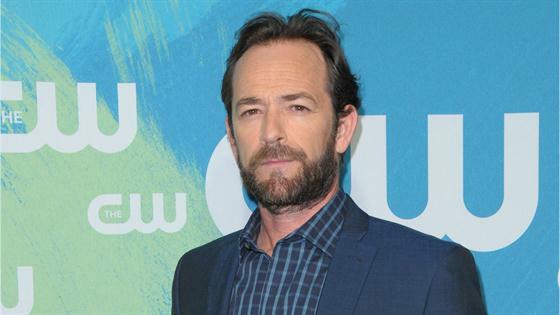 "We are deeply saddened to learn today about the passing of Luke Perry," Riverdale executive producers Roberto Aguirre-Sacasa, Greg Berlanti, Sarah Schechter and Jon Goldwater, along with Warner Bros. Television and the CW said in a statement. "A beloved member of the Riverdale, Warner Bros. and CW family, Luke was everything you would hope he would be: an incredibly caring, consummate professional with a giant heart, and a true friend to all. A father figure and mentor to the show's young cast, Luke was incredibly generous, and he infused the set with love and kindness. Our thoughts are with Luke's family during this most difficult time." "I'm finding it hard to grasp that he will no longer be around to give long hugs and share his wisdom and kindness with all of us," Riverdale star Lili Reinhart wrote. "I'm thinking of his family. His children. I pray for them to heal and find peace in this devastating loss." KJ Apa, who played Perry's TV son on Riverdale, shared a photo of the actor on his Instagram after his death, writing, "Rest in Love bro."